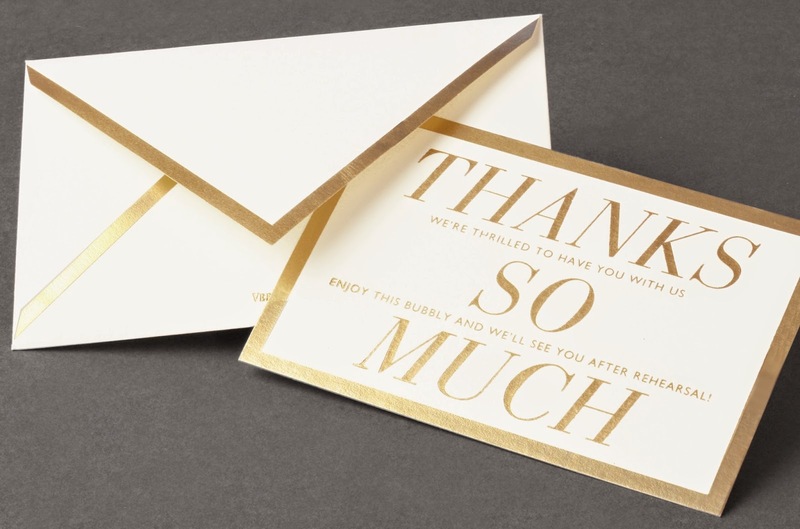 The second post in our series featuring favorites from the new Vera Wang On Weddings album highlights one of this year's most elegant trends: gold! 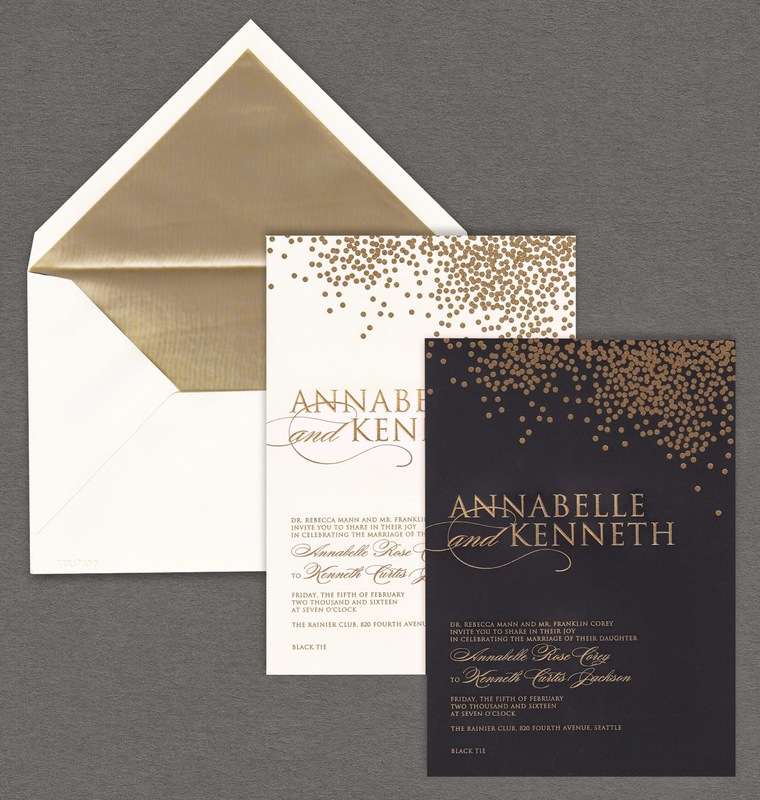 Just a touch of this classic metallic goes a long way in the glamour department, which is why it's the perfect hue for any wedding. Like a good pair of jeans, it can be dressed up for the most sophisticated of Black Tie affairs or dressed down for a more romantically rustic event. 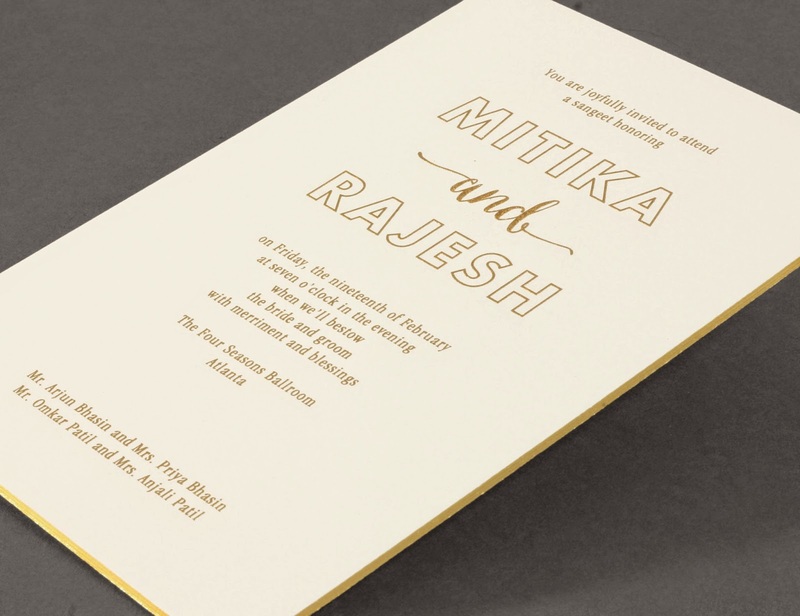 Our signature Oyster paper lets the gold on this invitation really stand out. 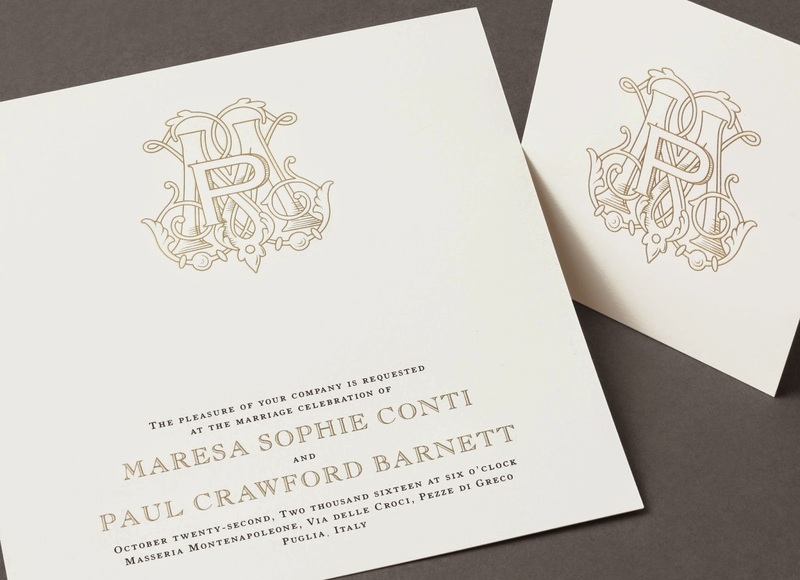 A border and a palette of typography styles works together to establish look that's both sophisticated and romantic. 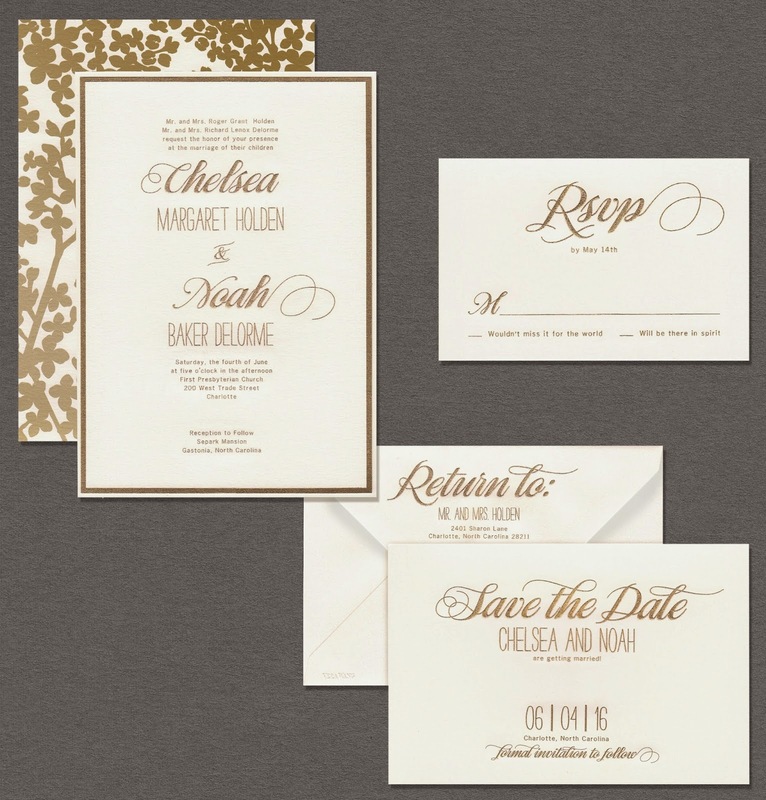 To compliment the simplicity of this gold-on-white design, we've added a luxe floral pattern to the back. 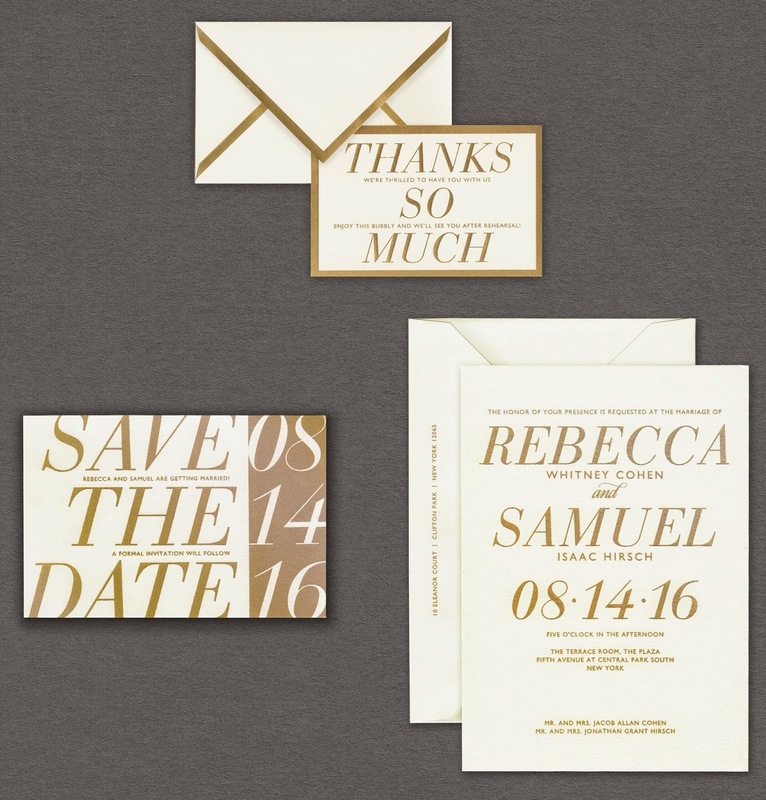 Oversized is so on-trend right now, and we thought the wedding invitation should be no exception. 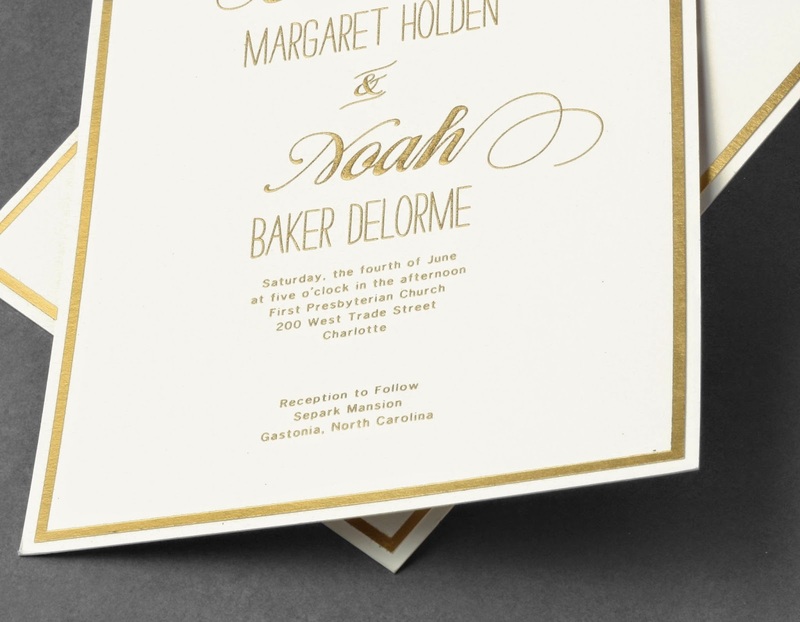 So you'll see plenty of extra large card sizes and motifs—like this one—throughout the album. 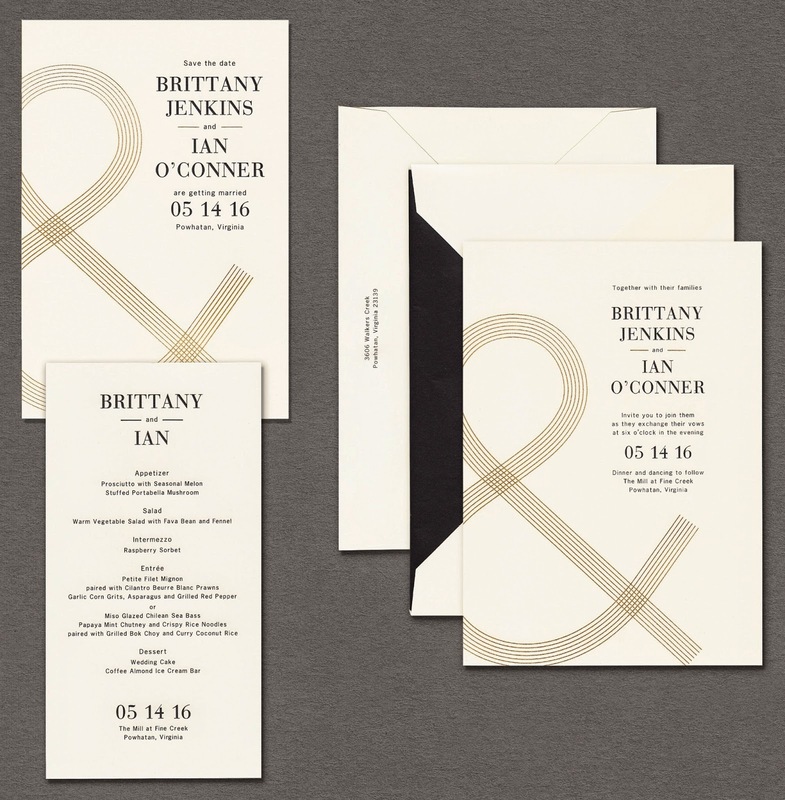 This modern ampersand in gold proves that big really is beautiful. Every party should have a little confetti. 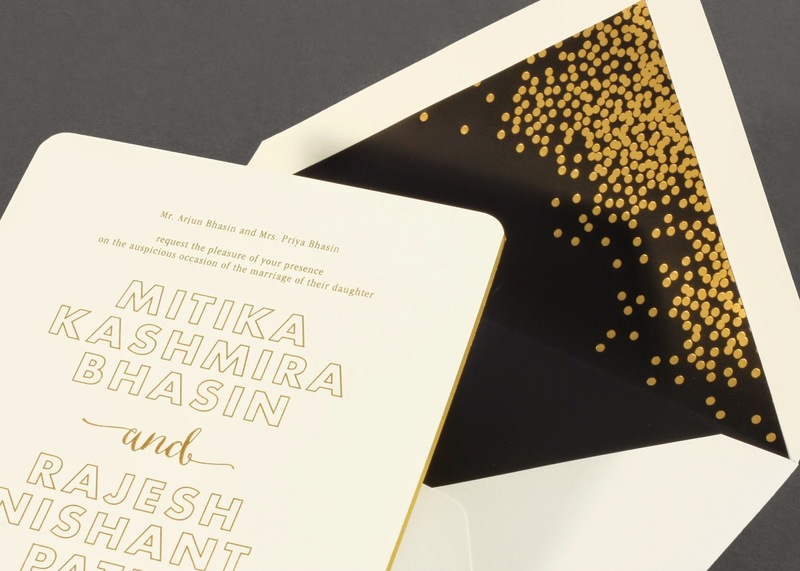 Foil stamped in gold on this invitation, our version manages to feel both festive and elegant. 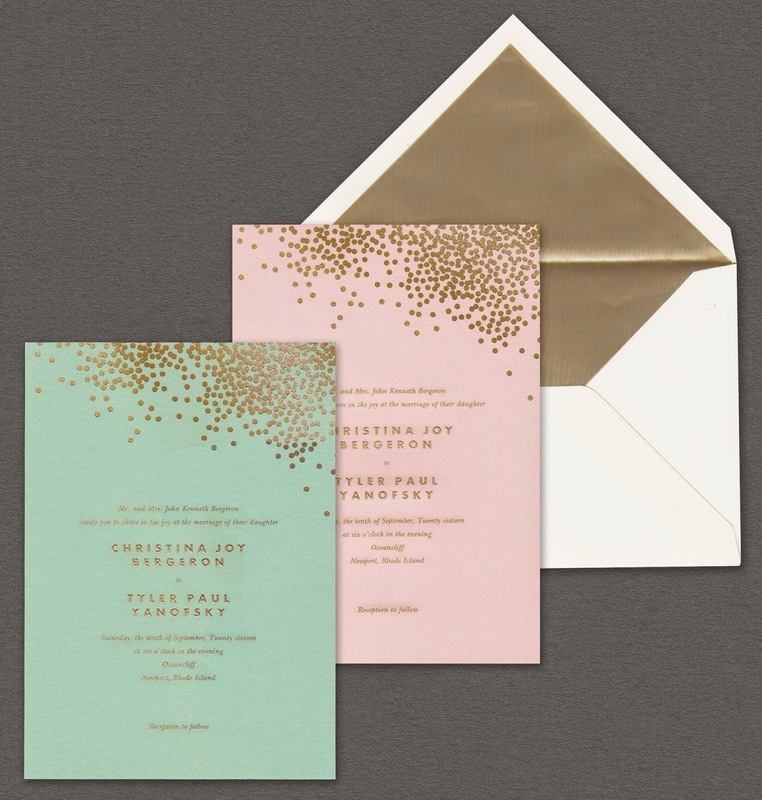 Depending on your taste, we've included more traditional black or white backgrounds as well as on-trend mint and blush. 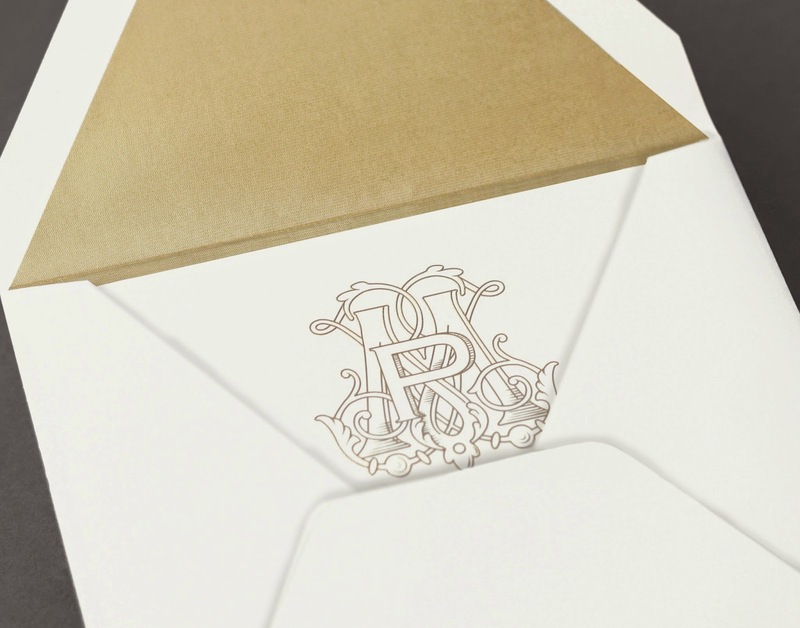 We can't think of anything more lovely than an engraved hand-drawn monogram, especially in gold. 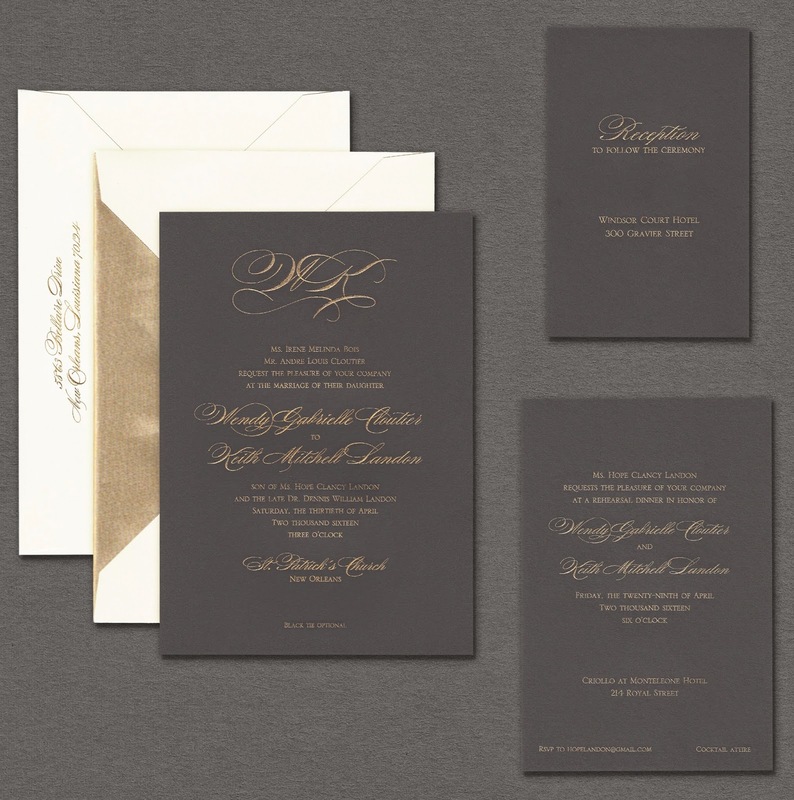 It's what makes this invitation so positively stunning and therefore perfect for the most elegant affair. 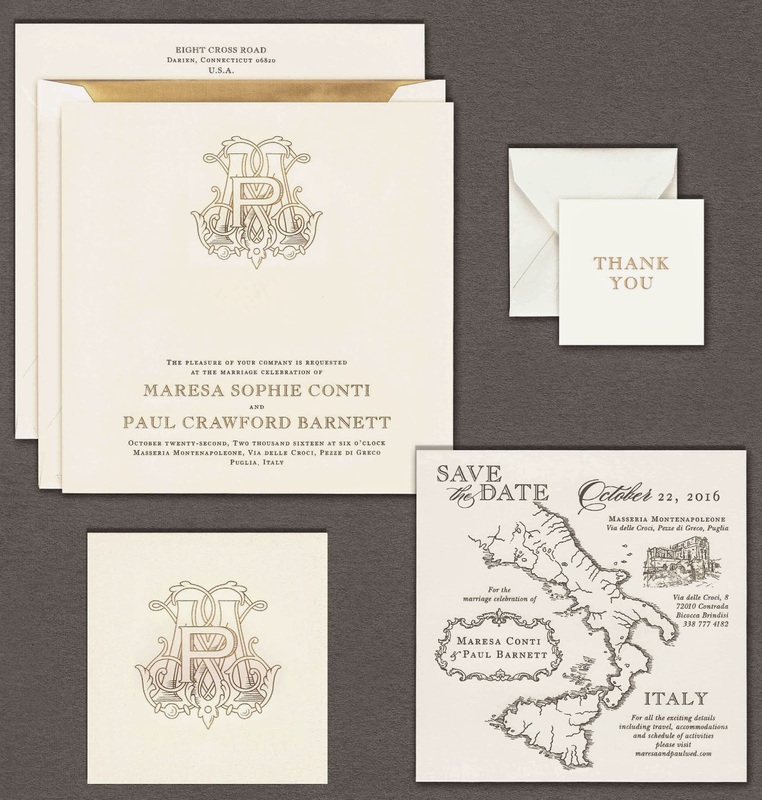 Engraved gold ink atop pewter paper offers such a modern and sophisticated look. 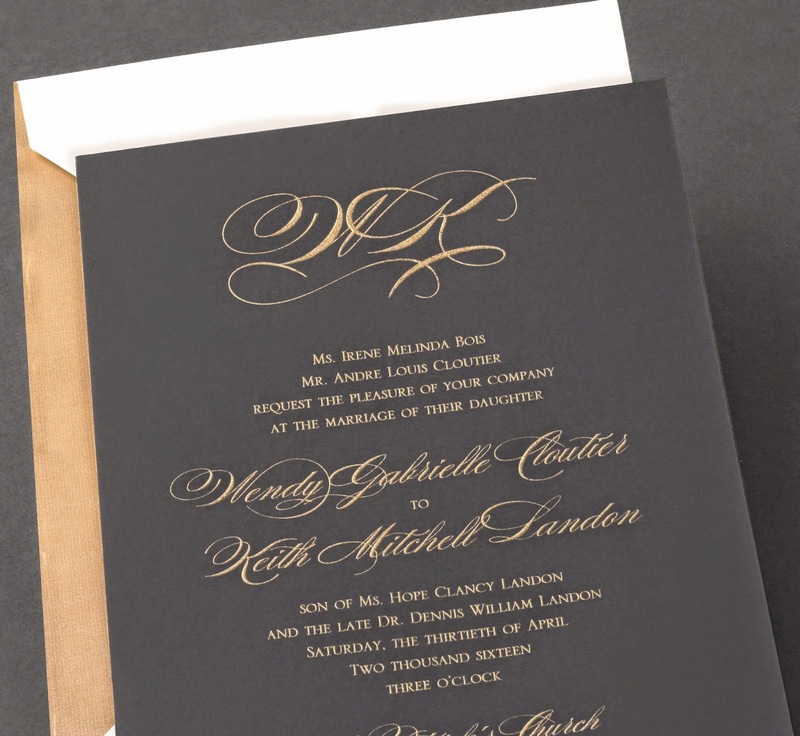 We also love the contrasting block and script types together. 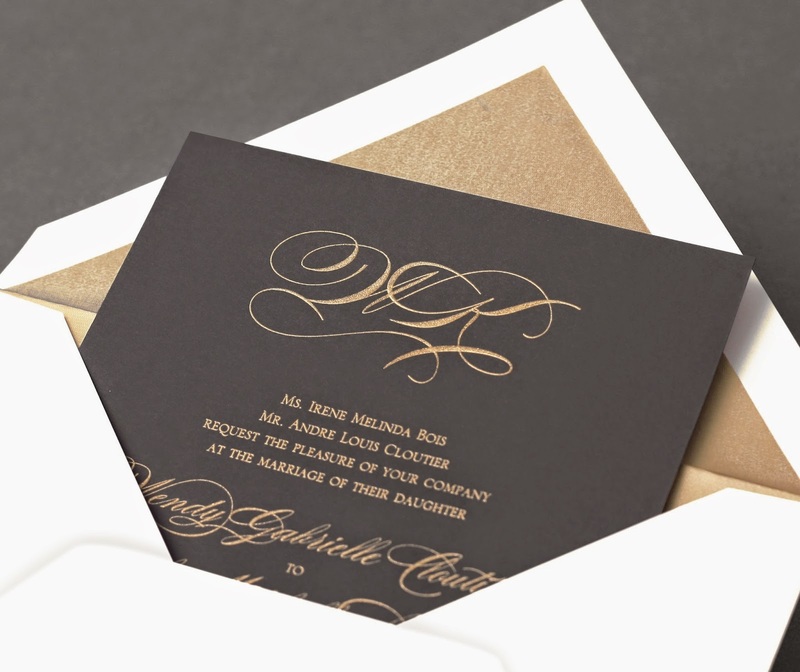 Sometimes simplicity makes for a most stunning invitation. 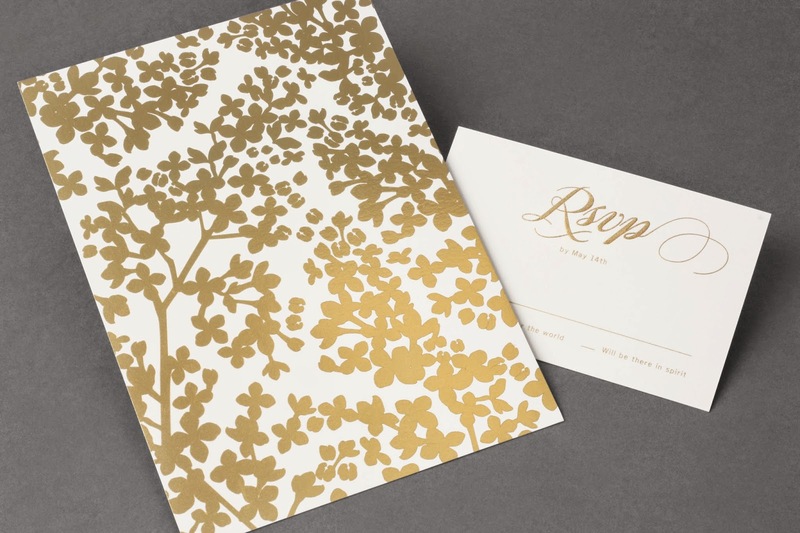 Our gold confetti makes another appearance, this time on a charming envelope lining. 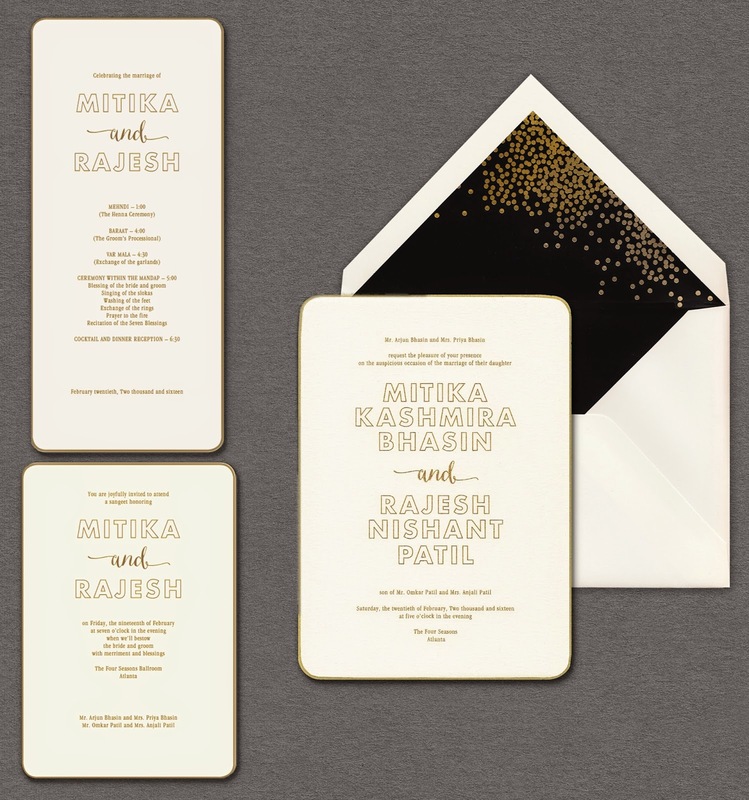 Paired with a rounded-corner invitation edged in gold and bold, modern type, it's an invitation sure to stun. 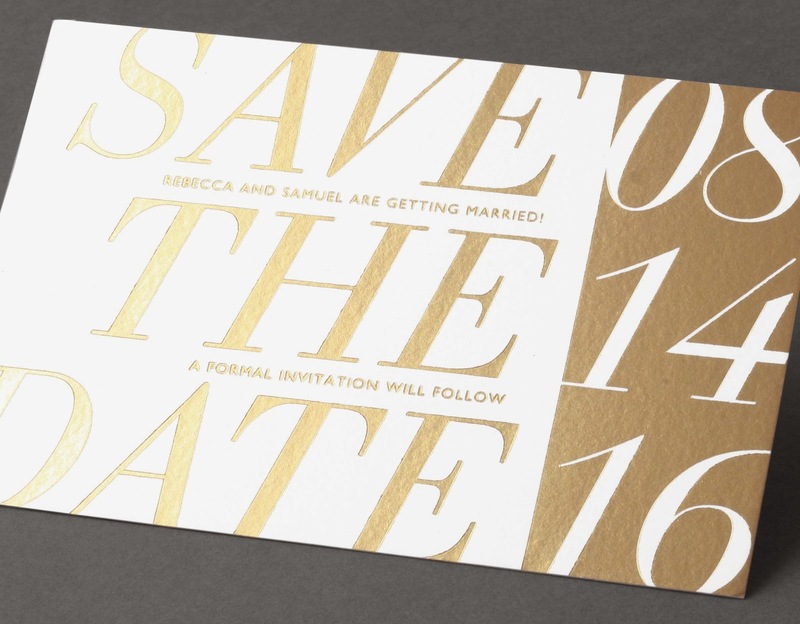 Foil is having a moment, and we think it looks no better than in gold. 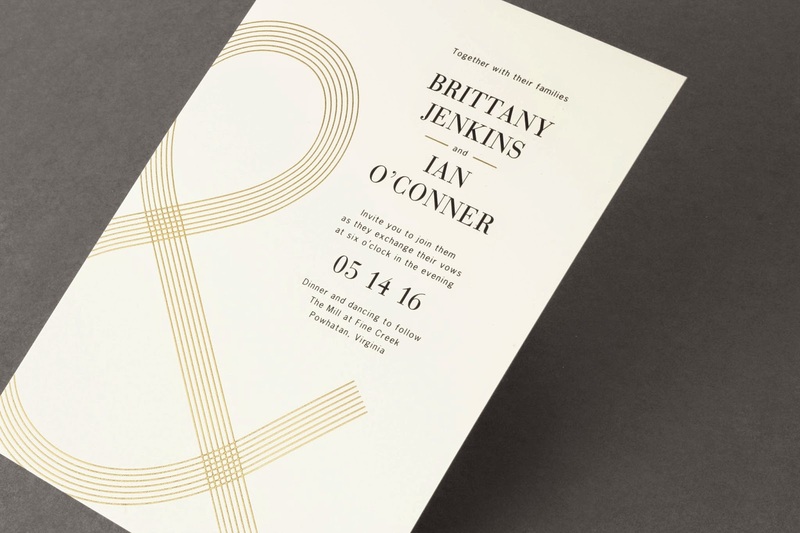 The bold, oversized type of this invitation gives it a modern feel, while the gold and white color palette offers an elegant touch. View the entire Vera Wang On Weddings Volume Two album here.